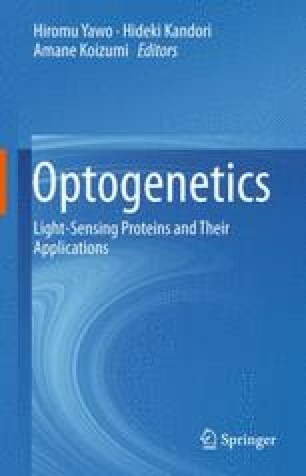 Smooth progress in the field of optogenetic research can be, as the suffix ‘-genetics’ indicates, expected using biological models that provide conditions suitable for genetic control or gene manipulation. The artificial expression of opsin molecules is expected to be carried out smoothly in mice compared with rats or non-human primates because of established inheritable genetic modification technologies in this species. However, when compared with the nematode or the fly, there are still many difficulties in the expression of opsin in mice if flexible gene manipulation is attempted.